show Gingrich catching up with Mitt Romney. In a few cases, Newt actually leads Romney. 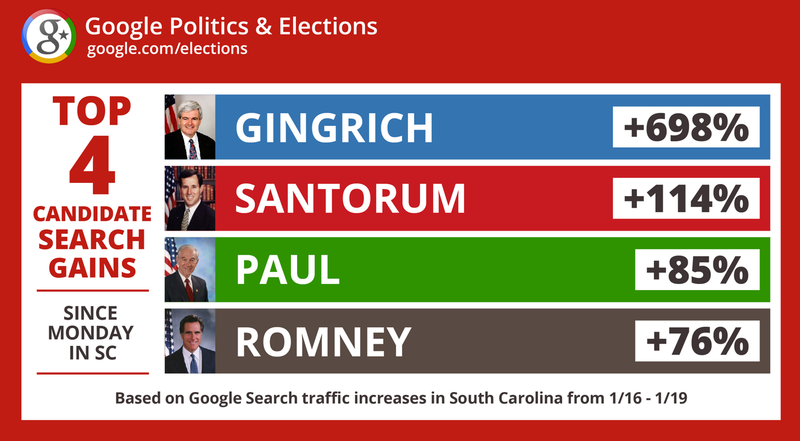 Gingrich has seen a 690% increase in search traffic since Gingrich’s last debate performance on Monday. 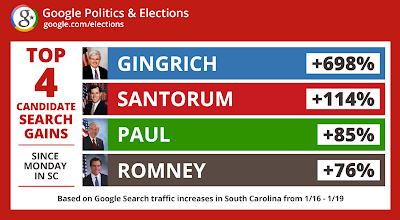 That exceeds the search growth of any other candidate campaigning in South Carolina. 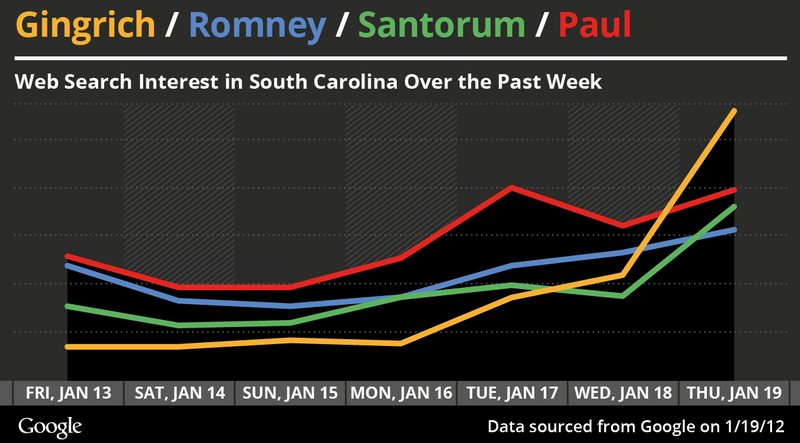 The Palmetto State primary is just two days away, and we’ve been watching South Carolina search traffic this week for the GOP candidates. 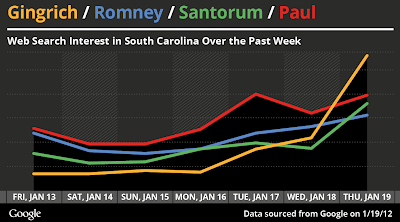 We discovered Newt Gingrich moved from a solid fourth place on Monday to first place in South Carolina search volume today. The latest South Carolina polls show Gingrich catching up with Mitt Romney. In a few cases, Newt actually leads Romney.